Why Plastic Parts Are Quickly Becoming More Popular than Metal Parts | Bridgville Plastics Inc. When producing large quantities of parts, more and more companies are turning to plastic these days rather than relying on metal. There are several different reasons for this. Let’s take a closer look at why so many companies have decided that plastic is the better option for them. Plastic parts are easier to create. 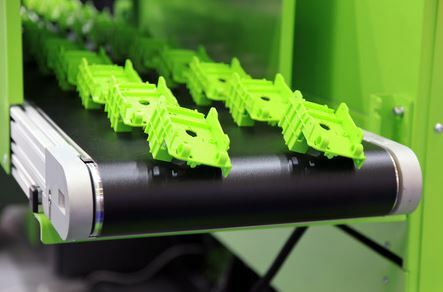 To manufacture plastic parts, all companies need to do is create a single mold that can be used over and over again. That mold can be utilized to make plastic parts significantly quicker than companies that choose to make metal parts, especially when it comes to manufacturing large volumes of parts. Metal parts typically require precision machining and need to be individually machined, which can hinder the manufacturing process. It can also be more expensive, which is another drawback of working with metal over plastic. Plastic parts are naturally resistant to corrosion. Metal parts can be made to be resistant to corrosion. However, companies need to apply a secondary finish to metal parts to make them corrosion-resistant. That’s not the case with plastic parts. Plastic parts are naturally resistant to corrosion, which means companies don’t need to spend extra time and money applying a finish to them. This results in parts that last longer since they won’t ever corrode. Plastic parts work better in high-heat applications. When companies are making parts that will be used in high-heat applications, they usually choose to go with plastic over metal since plastic demonstrates slow heat conduction. Many plastic parts can actually serve as insulators because of the way they conduct heat. Nevertheless, metal parts can’t play this same part since they conduct heat more quickly. It makes plastic parts the better choice overall. You can learn more about the benefits of using plastic parts over metal ones by getting in touch with Bridgville Plastics. Call us at 269-465-6516 to find out more about our services.